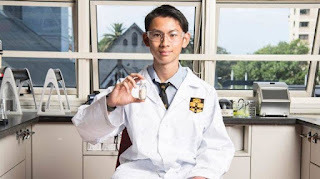 Students at Sydney Grammar School, Australia have found a cheap way to create the active ingredient of anti-parasitic and immune system-supporting drug Daraprim. Last year hedge-fund-manager Shkreli raised the price of Daraprim from $13.50 to $750 a dose. The schoolboys made their version for $2. Sydney schoolboys take down Martin Shkreli, the 'most hated man in the world'.